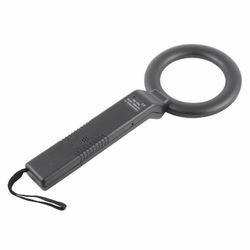 Our clients can avail from us Hand Held Metal Detector Manufactured by some of the leading vendors, these detectors are available at market leading prices. Moreover, we also ensure that these have features like light weight, reliable performance sensitive & adjustable body, longer service life. 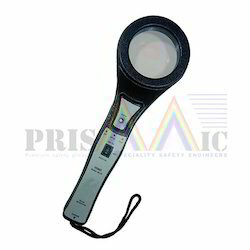 Having a definite quality management system, we are immersed in bringing forth a top class consignment of Electric Hand Held Metal Detector. - In built battery charger. - Minute quantities of gold, silver, platinum, brass, copper & stainless steel are detected effectively. - Ultra high sensitivity & stability. - Operates on disposable dry battery or on Rechargeable battery.